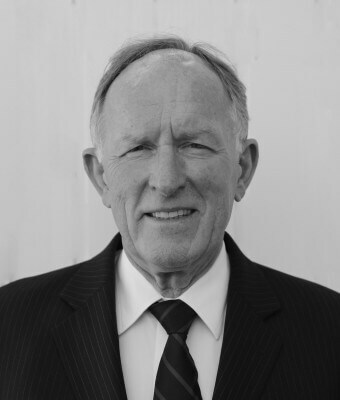 For over 37 years, Chris has practised local government and environmental law. Over this time he has developed extensive experience and talent in all areas of law, with a special focus on local government law. Since 2013 he has been an accredited specialist in the area of planning and environmental law. Chris specialises in advising and acting for Councils. His knowledge extends to all areas of planning and development law, pollution law, laws affecting roads and animals, and advising his Council clients in respect of their rights and obligations under the Local Government Act. Chris is a specialist Land & Environment Court advocate and appears for Council and other clients in almost all matters they have before the Court. Chris holds a Bachelor of Laws for the University of Sydney. Chris has acted for Parramatta City Council for over 37 years. He has appeared as advocate for Council defending Class 1 and Class 2 appeals on hundreds of occasions. He has also appeared as advocate for numerous applicants. He has appeared for Councils and Respondents on urgent injunctions and in Class 4 and 5 before the Land & Environment Court. Chris has also appeared for Council clients as prosecutor in offences under the Roads Act, the Companion Animals Act, the Environmental Planning & Assessment Act and the Protection of the Environment (Operations) Act. Chris understands the important role resident objectors play in all Council dealings. He has participated in many Council meetings and often organises meetings of objectors and interested parties to advise them of the progress of their role in court proceedings. Chris is a mad keen boatsman. He enjoys the camaraderie with his family and friends. Chris is married with 3 children and 4 grandchildren. He loves gardening, reading and a good movie.